Hello there, I know it’s been awhile, but I’m still alive and still waiting on baby Abigail to arrive. She’s due October 18th, hope she’s on time. The project I have to share with you today is one of two projects I created for the UStamp Paper Parade event that is going on right now. If your interested in signing up, click on the banner below or the button on the right side. There are 40 projects that each have great tips and techniques. There is also a pdf for each one to print out and save for future projects. Hope you enjoy! 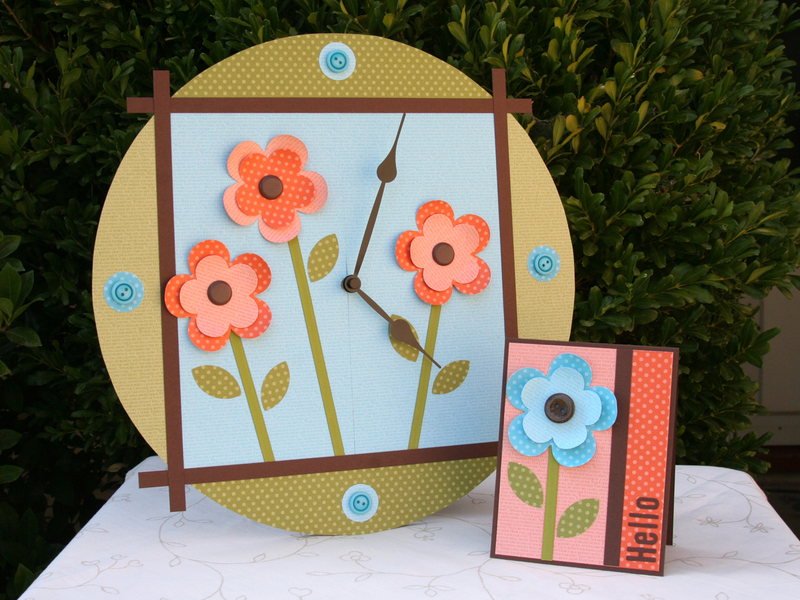 For my first project, I choose to cover a flat wooden clock. It was really easy and a lot of fun. You can decorate it specifically for any room, just make sure your embellishments don’t stick out farther than the hands. I hope this inspires you to make something 3 dimensional!